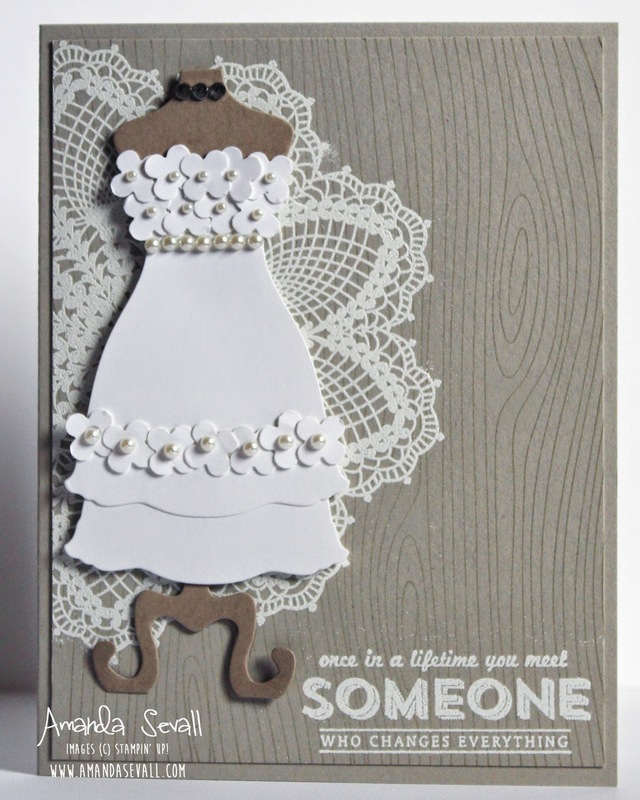 Amanda Sevall Designs: 365 Cards: A Once in a Lifetime Dress! So last week, I shared a bridal shower card... today I wanted to share the wedding card I made for the same bride! The wedding is coming up in June, so I have this ready to go! 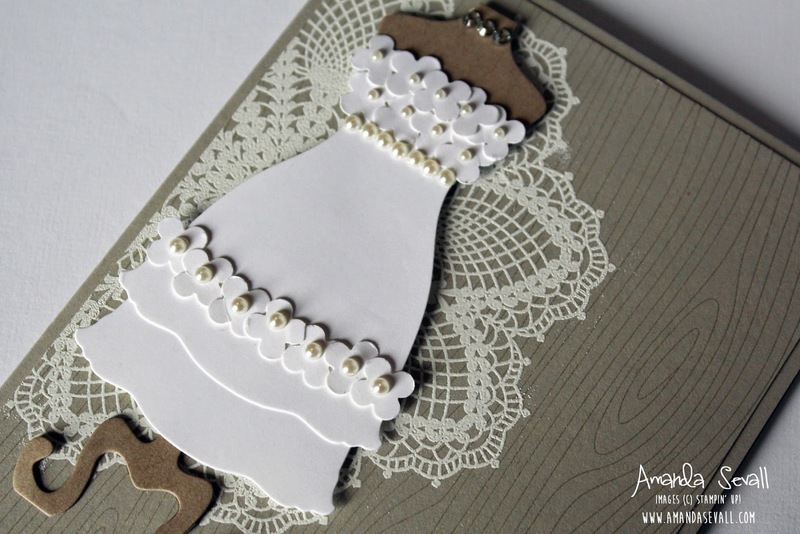 I wanted to create a fun dress for this wedding card and I was inspired by this one that I spotted on Pinterest. Hope you aren't sick of dresses yet... one more to share tomorrow!